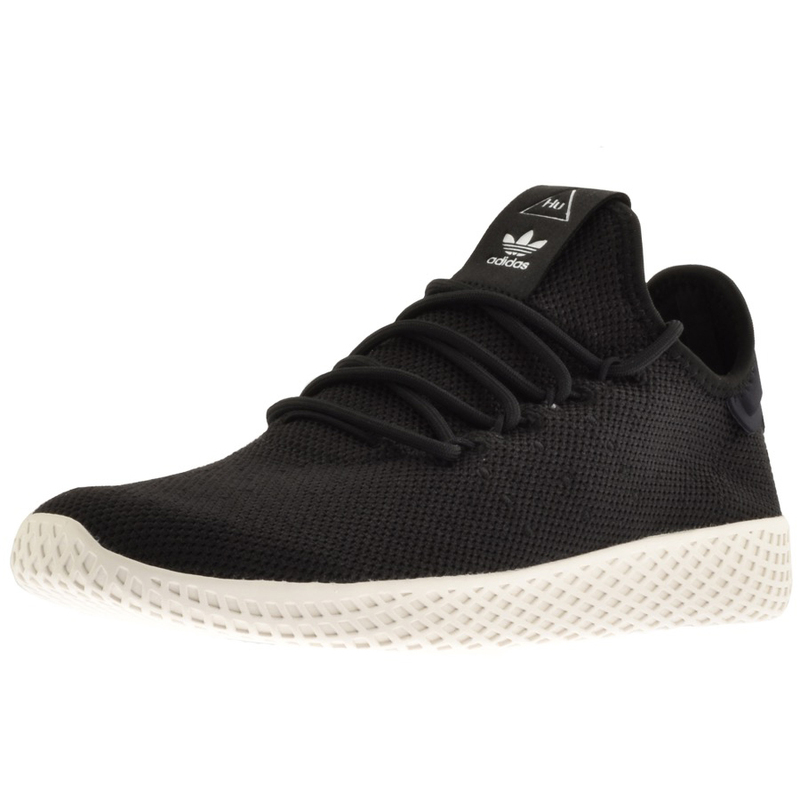 Adidas X Pharrell Williams Tennis Hu Trainers In Core Black, Breathable knit uppers in core black with core black lace fastening and subtle signature Adidas Three Stripes are stitched on the instep and outstep in core black. A black suede effect pinch tag is on the tongue with a white Adidas Trefoil Hu logo and a core black panel is also on the reverse of the heel with the signature Pharrell Williams logo printed in white. A textured EVA midsole in chalk white with black rubber inserts on the undersole. Brand New Adidas Originals Trainers And Flip Flops Live Online.